While Hong Kong is known for its crazy nightlife scene at Lan Kwai Fong, craft cocktail bars weren’t a thing until they started to thrive in the past few years. We’ve selected some of the best cocktail bars in Hong Kong that make professional cocktails like no other. The kind of drinks that you wish you knew how to make it at home, but you’re probably too intimidated to do it yourself. Rest assured, the bartenders at these bars are here to make sure you have a great time. For those who are into Japanese whiskeys and top-notch cocktails, the bartenders at Bar Butler surely know their craft. Their impressive whiskey collection (with a focus on Japanese producers) can be a little daunting for whiskey amateurs, but the boys do a great job giving you an intro and helping you find one that fits your palette. It’s quite hard to get a table over the weekend, so make sure you call ahead of time to reserve your seats. If you’re stopping by, feel free to name drop and tell them Ashley send you! Michael is our go-to bartender at Butler. This guy knows his craft inside out and is a perfect listener if you’re looking a quiet night out and good company for a chat. Opening Hours: Tuesday to Saturday - 6:30 pm to 3 am, 5:30 pm to 1 am - Sundays. Closed on Mondays + Public Holidays. Imagine yourself watching over the top of skyscrapers in Hong Kong, within a distance that you feel like you can almost reach it. While some say Ozone at Ritz-Carlton (the highest bar in the world) has an unbeatable view, we prefer the view at The Upper House a lot more. The bar is classy and the gorgeous night view is breathtaking enough to impress your date. It isn’t only about the skyline at Cafe Grey Deluxe though. They make simple, classic cocktails just right and we love their whiskey sour there. Notes: Drinks are surprisingly affordable compared to some of the other rooftop bars in Hong Kong. Average price for a cocktail is around $130 + 10% service charge. They also serve beer, wine, and mocktails here. Armed with a heavy black, wooden door and a classic Chinese doorbell at the front, 001 is as unassuming as you get in Hong Kong and we love how it’s hidden behind the veggies stalls in the midst of Graham Street market. With a New York speakeasy vibe, 001’s menu covers some of the best classic cocktails such as Old Fashioned and stronger doses such as mezcal-based smokey Lapsang cocktail. They also serve one of the best Early Grey martinis in town, perfectly frothed with egg white, lemon juice and bergamot (we prefer the 001 take on it compared to Quinary’s best-seller Earl Grey martini with caviars). Classic jazz flows throughout the night, and the underground speakeasy is quite dark, and its mysterious vibe makes it a great place to whisper your secrets and past over a few cocktails. 001 might just be the hardest bar to find in Hong Kong, especially when it’s hidden in plain sight in the dark. Look for the Pizza Express on Wellington Street, then turn to the alley of Graham Street and the unmarked door would be on your right. If you’re lost, ring us up for a private cocktail crawl, and we’ll show you around. Taking the first step into Mizunara feels like walking into a secret Japanese chamber with a zen garden at the back. 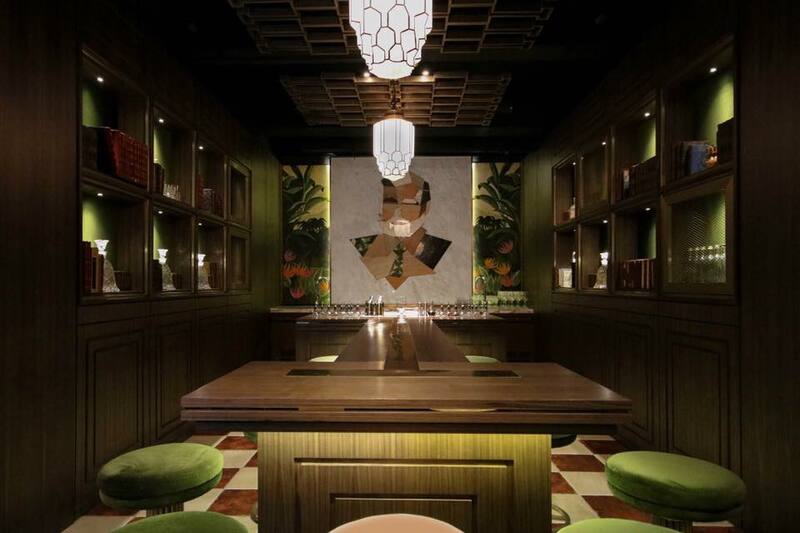 Located on the 4th floor at an unremarkable commercial building in Wan Chai, the Japanese speakeasy is led by award-winning bartender Masahiko Endo with 20+ bar experience under his belt. Mizunara offers an extensive list of whiskeys, including artisanal Japanese distilleries and some lesser known labels. It definitely has a different vibe from Bar Butler. Everything is meticulous at Mizunara, and it’s a quiet haven for whiskey and cocktail lovers. Opening Hours: 6 pm to 3 am, Monday to Saturday. Closed on Sundays. Boy oh boy, where shall one start when one talks about The Old Man? The Hemingway-inspired bar specializes in gin-based cocktails, and the service is definitely one of the best in town. Co-owner Roman Ghale was the senior operations manager at Cafe Grey Deluxe at The Upper House, and he’s the master of the front of the house at The Old Man. I had a quick chat with Roman upon my first visit and was quite impressed that he greeted me by calling me Ash when I returned the second time. As an ode to Hemingway and his work, each cocktail is named after the late author’s novels. The Snows of Kilimanjaro might not be your everyday drink as the experimental cocktail is made with marshmallow gin, lacto-fermented raspberry, and citrus topped with grated gruyere. Did we just mention there are cheese shavings on top of this drink? We surely did. The drink is finished off with a fluffy, egg white foam and the drink plays with a surprisingly good balance of savory, citrus and sweetness. Our favorite is the insanely refreshing Green Hills of Africa that’s made with rosemary-infused Pisco, turmeric, tamarind cordial and citrus.They also make classics such as Gin & Tonic and Old Fashioned if you prefer simpler fares. Notes: Walk-ins only, so we recommend going there either during Happy Hour since the bar gets insanely packed after 8/9pm. Drinks are $90 each + 10% service charge. The bar is tucked away in the little alley right across Happy Paradise on Aberdeen Street.